Clayton Syvertsen, 84, Galchutt, ND, passed away Saturday, November 17, 2012 at St. Francis Healthcare Campus, Breckenridge, MN. A Memorial Service will be held Monday, November 26, 2:00 PM, at Vertin-Munson Funeral Home, Wahpeton. There will be visitation with the family one hour before the service at the funeral home. 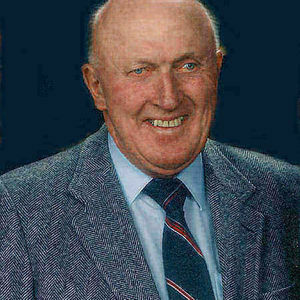 Clayton was born December 4, 1927 at Galchutt, ND, the son of Hans E. and Olga (Wold) Syvertsen. He grew up in Galchutt where he attended school and graduated from Wahpeton High School. He worked for his father at H.E. Syvertsen Supply in Galchutt. He served in the US Army. Clayton married Madonna Meyer Schmidt on September 5, 1973. The couple resided in Galchutt where Clayton worked for Galchutt Oil for over forty years. Clayton was an avid reader and enjoyed reading history, especially local history. He loved to spend time with his grandchildren. Clayton is survived by his wife Madonna, Galchutt; and two children, Virginia Deitz, Fargo, ND; and Lois (Mark) Bladow, Wahpeton, ND; eight grandchildren: Jon (Stephanie) Deitz, Moorhead, MN; Michelle (Kevin) Lund, St. Peter, MN; Paula Koltes, Bloomington, MN; Jennifer McKinnon, Fargo; Joshua Deitz, Fargo; Zachariah (Michelle) Deitz, Buffalo, ND; Sonya Bladow, Scottsdale, AZ; and Steven Bladow, Shakopee, MN; two sisters-in-law, Morna Syvertsen, Wahpeton; Betty Syvertsen, Abercrombie, ND; and nieces and nephews. He was preceded in death by his parents, two brothers, Hans and Harold Syvertsen, a son, Robert Schmidt, and a son-in-law, Frank Deitz. We enjoyed buying fuel from CLAYTON For The Farm. Sorry to hear Of his passing. My Condolences to all. I met him only once when doing genealogy on the Liv Reine side (his Grandmother) Clayton is my half second cousin. May you all cherish your memories of him.